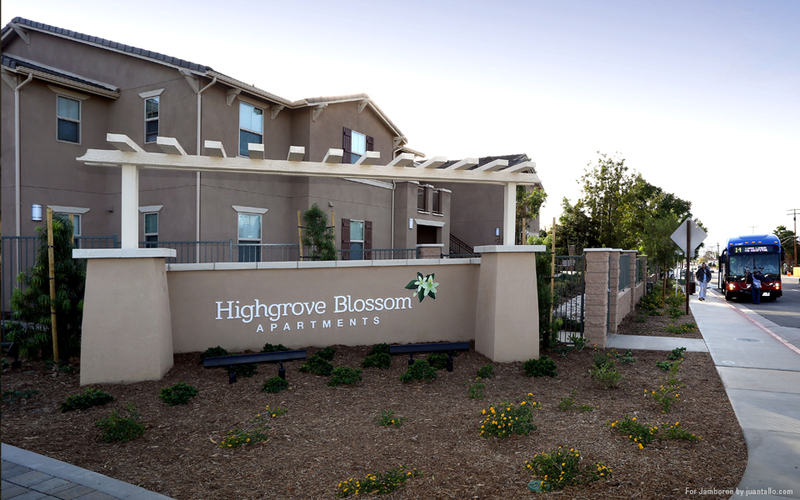 Highgrove Blossom is located in the unincorporated community of Highgrove in Riverside County. 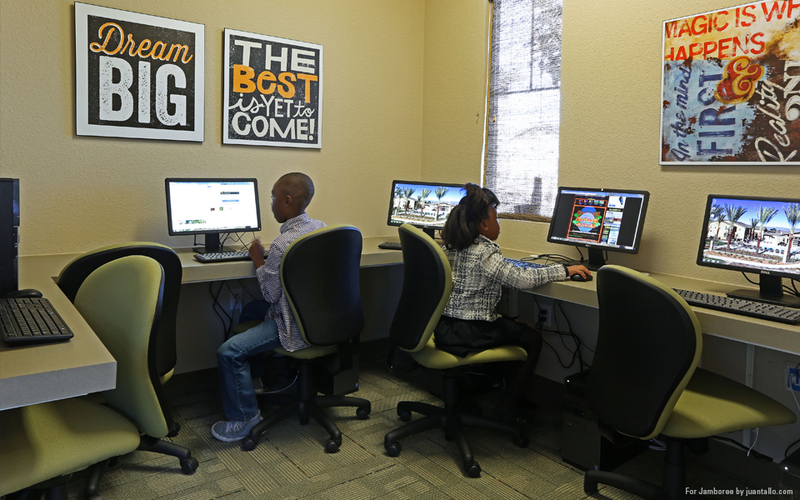 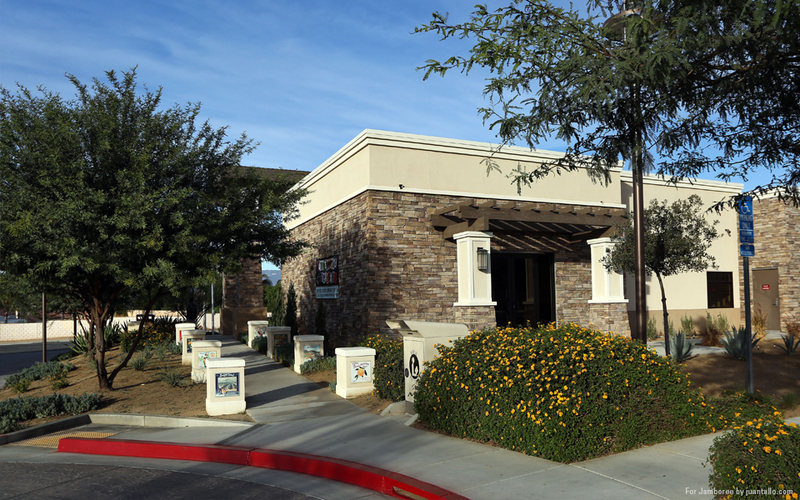 The site is bordered by the City of Riverside and the City of Grand Terrace and is situated between the recently opened Highgrove County Library and Highgrove Elementary School. 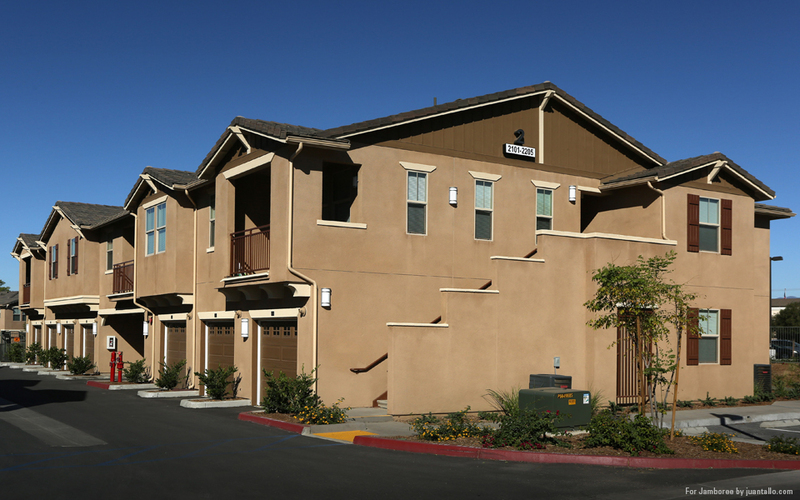 The Highgrove Community Center and Park and the county Fire Station are one block east of the property. 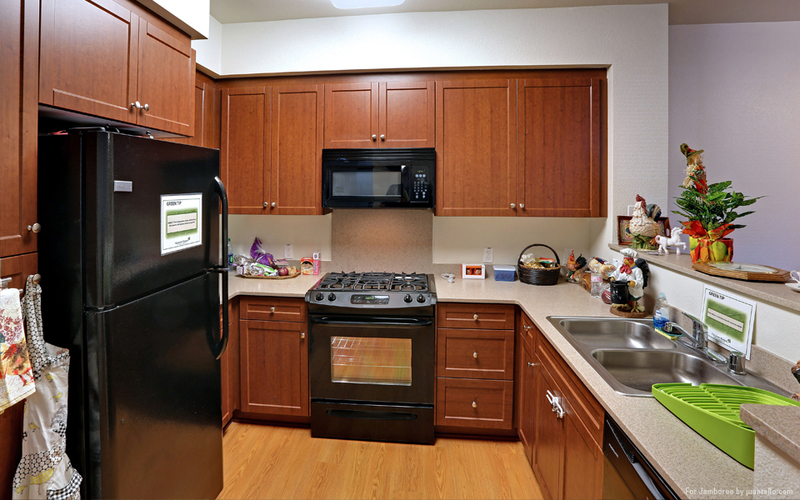 Workforce Homebuilders joint-ventured this affordable community with Jamboree Housing Corporation and social services are coordinated by Jamboree’s social service affiliate, Housing with HEART. 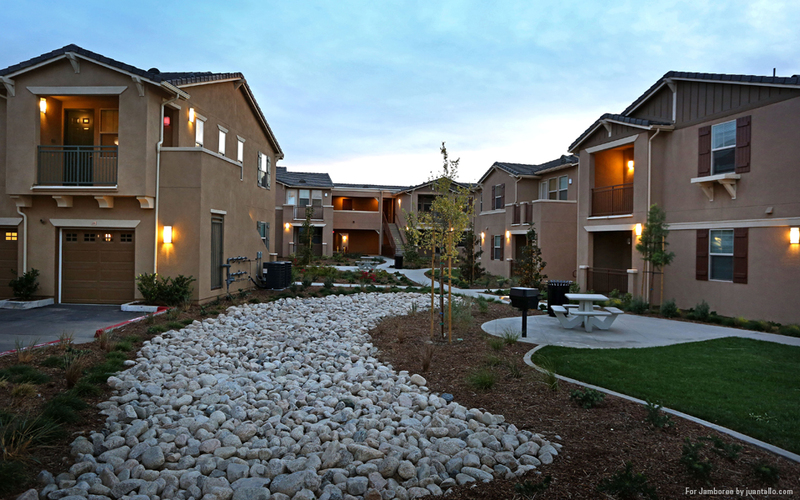 The apartment community features 60 two-bedroom and 28 three-bedroom apartments for 88 families who earn between 30% and 60% of the area median income (AMI) and a two-bedroom unit for the on-site property manager. 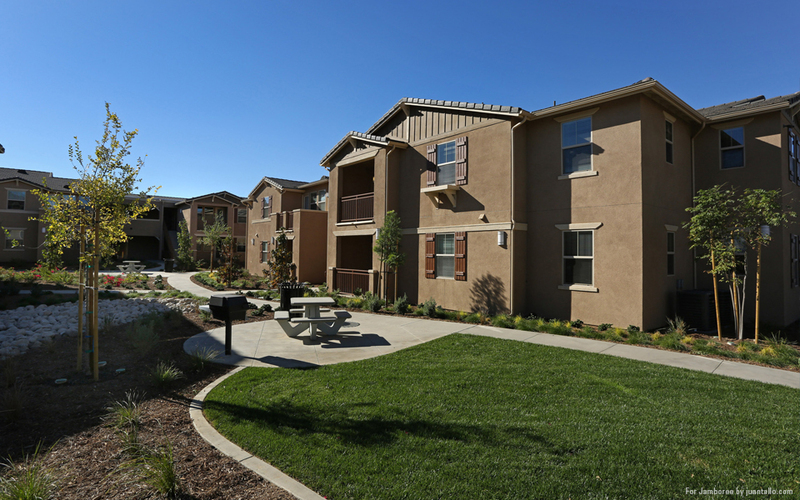 An example of smart growth, the workforce housing community provides important amenities to enhance the quality of life for residents. 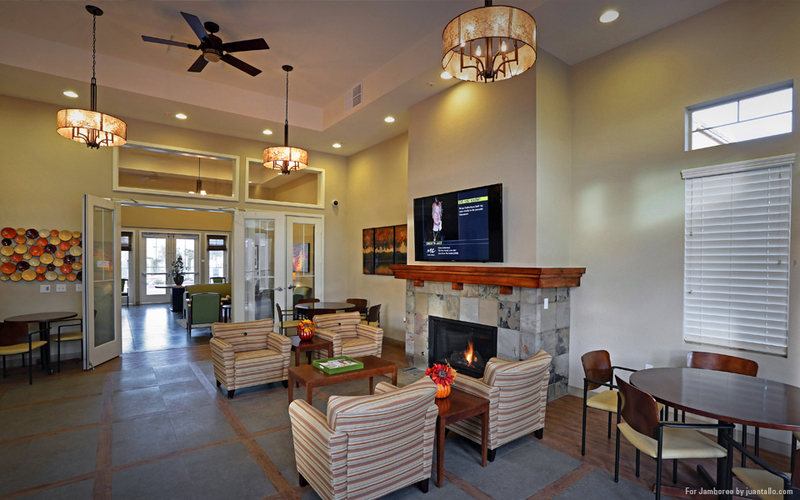 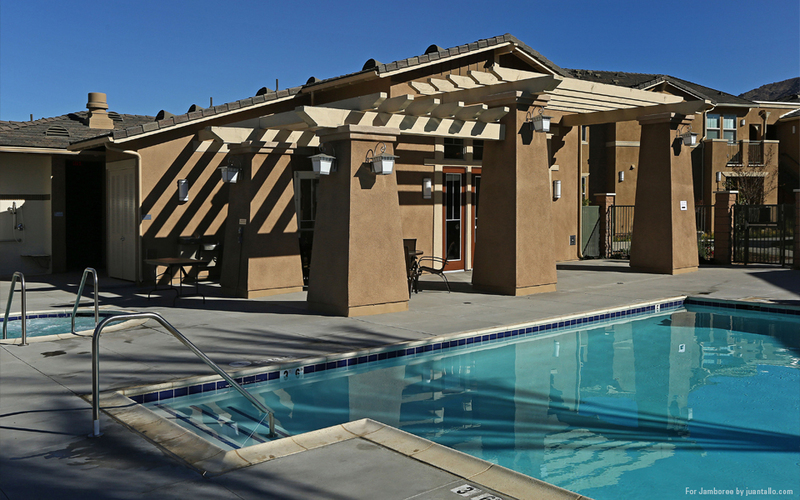 The overall community plan includes numerous open spaces and amenities such as a 2,690-square foot community building, three laundry care centers, controlled access gates, pool and spa, computer lab with Wi-Fi, and an onsite community manager and leasing office. 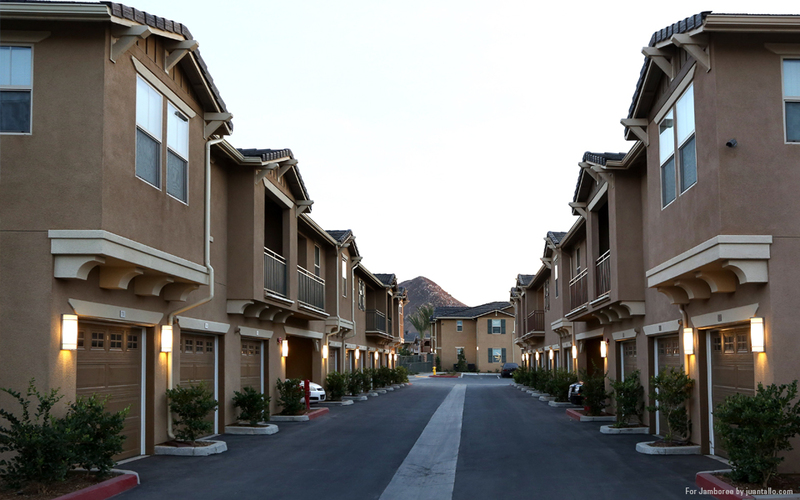 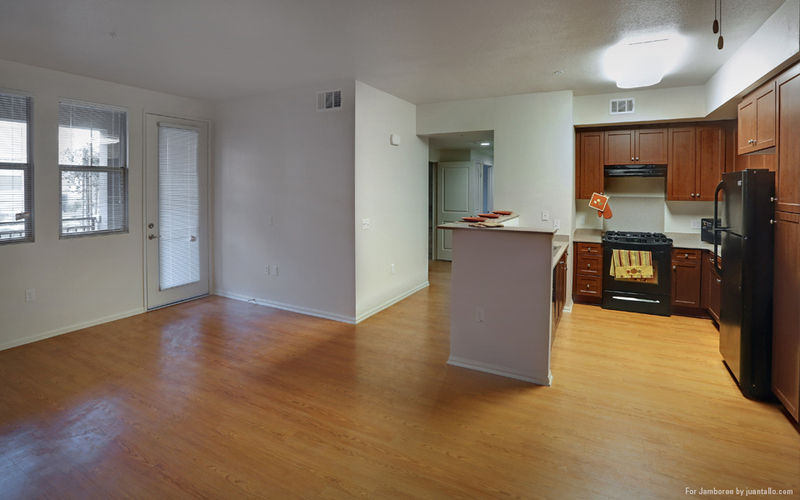 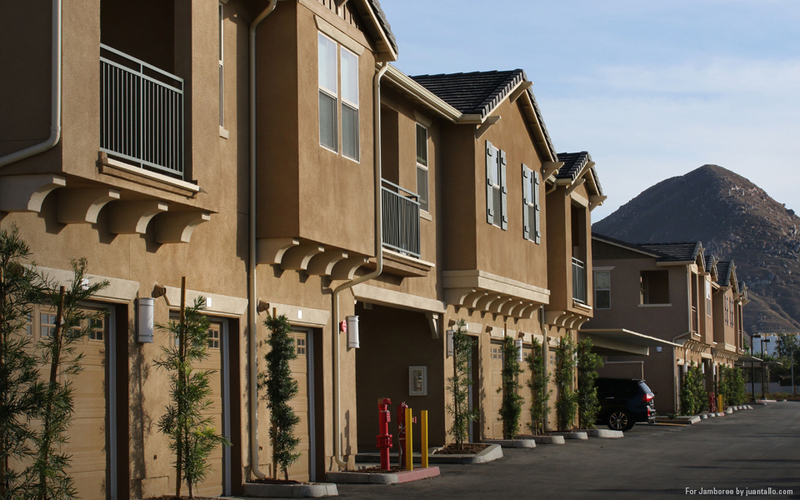 Each apartment building offers attached garage parking for residents in addition to another 156 on-grade and carport parking spaces for residents and visitors. 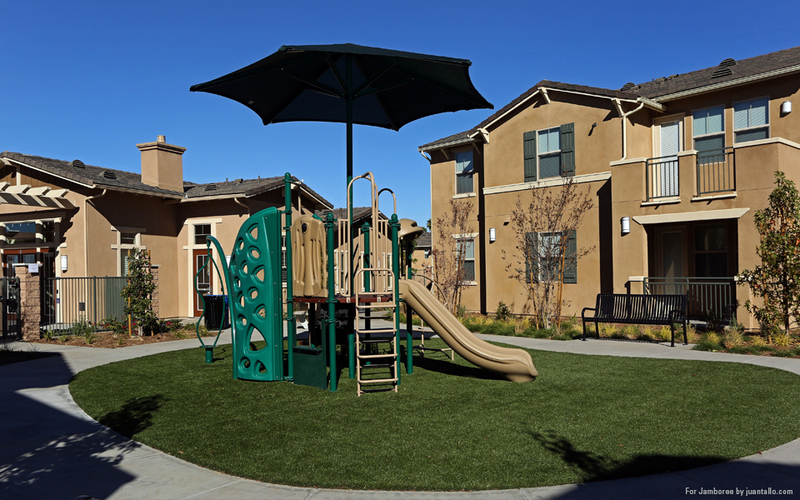 The property’s strategic location links quality housing with valuable community and family resources. 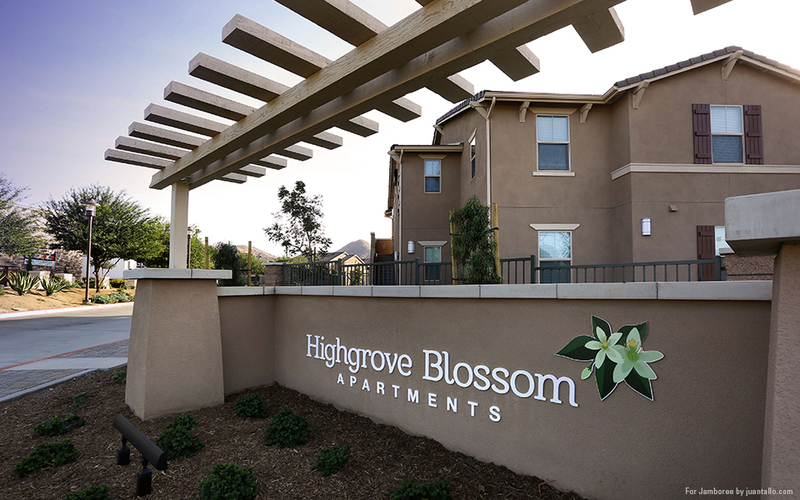 The bus stop for a major bus route is located at the Highgrove Blossom entrance, and the property is within three miles of John W. North High School and University Heights Middle School. 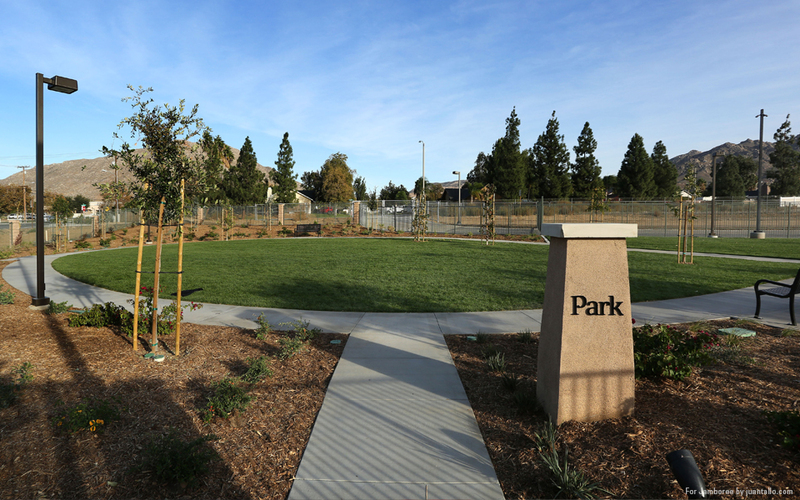 Plus, residents can request transfers to the new Grand Terrace High School one-half mile away. 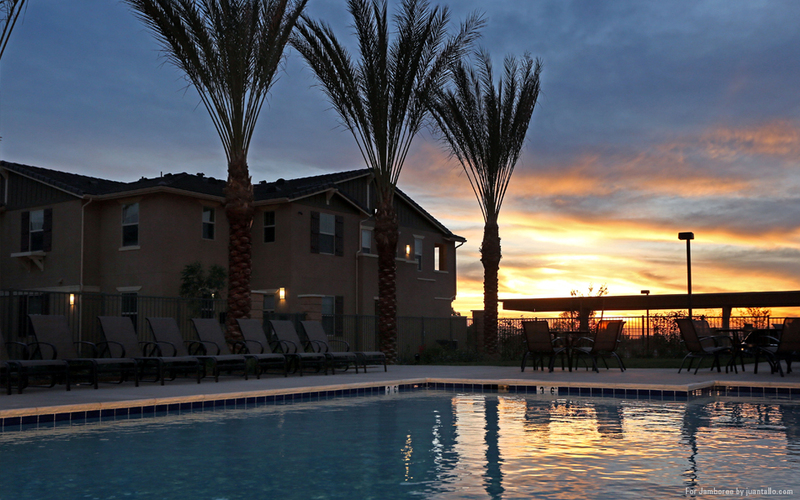 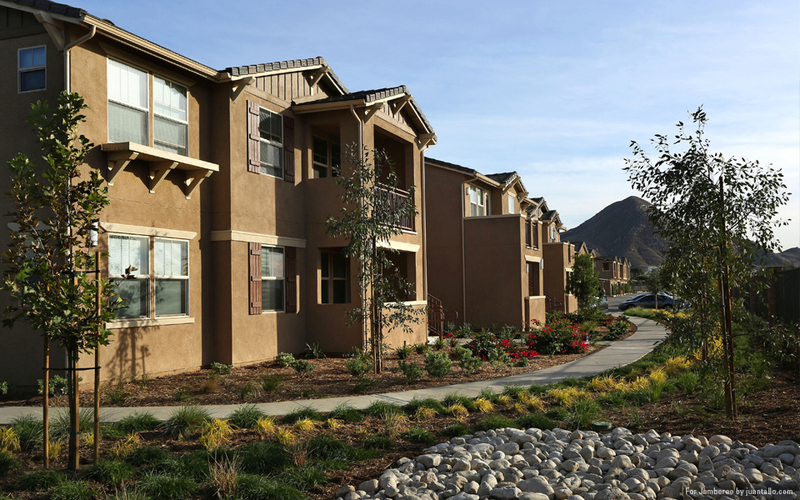 The new community is also close to shopping, entertainment, restaurants and job opportunities, five miles from Loma Linda University Medical Center, and six miles from Loma Linda VA Hospital. 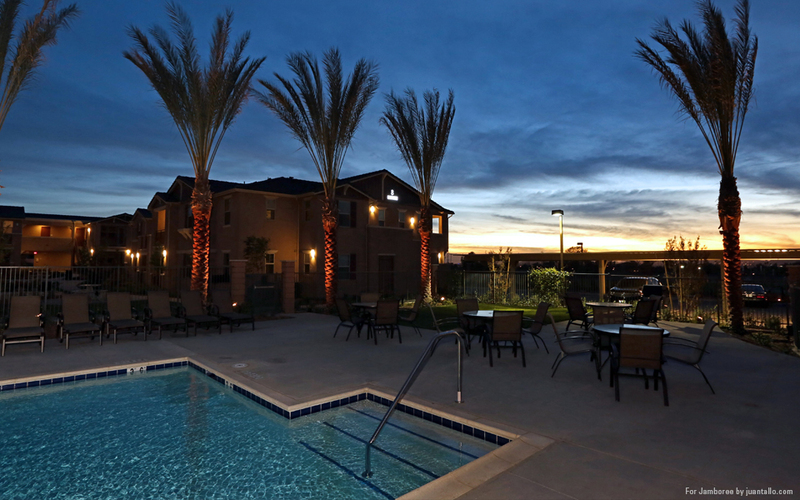 The University of California Riverside and Riverside Community College are four miles and five miles respectively from the property. 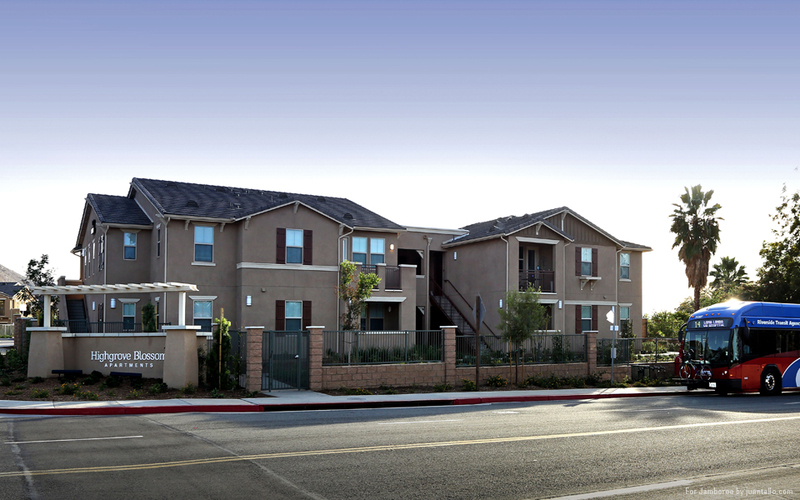 Funding for the nearly $21 million development includes financing from the County of Riverside Housing Authority with $7.4 million plus donation of the land; a $7.6 million construction loan from U.S. Bank; a $350,000 AHP loan from Federal Home Loan Bank; RBC Capital Markets-Tax Credit Equity Group provided funding via a $9.9 million Low-Income Housing Tax Credit equity investment; and a private trust loaned $2.4 million for construction and permanent financing.